Bill 59, proposes the prohibition of hate speech and speech inciting violence that is engaged in or disseminated publicly that targets people sharing a common characteristic identified as prohibited grounds for discrimination in the Quebec Charter of human rights and freedoms. The Liberal provincial government has aimed to address very controversial subjects that have been dominating Quebec politics for some time, including reasonable accommodation, youth “radicalization,” and increasing incidents of hate speech. Both bills, 62 and 59, include vast measures and action plans. Topics covered in the two bills are so numerous that it appears as if PLQ, the governing Liberals, are aiming to tackle all divisive issues within Quebec society. In the last few months, about two dozen Quebec youth have been reported to have left or attempted to leave to war zones in the Middle East. 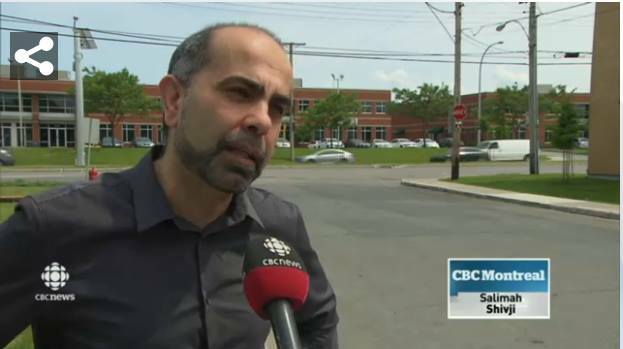 Those reports have raised concerns of what has been called radicalization of youth Quebecers. Calls to deal with the subject have dominated official statements and airwaves. While the general reaction to the anti-radicalisation measures proposed by the government has been positive to a large extent, serious concerns have been raised on how the plan will be implemented. Taking into consideration not to mix between religiously practicing individuals and signs of radicalization is one of the main challenges that will face the civil servants who will be at the forefront of implementing the anti-radicalization action plan. This will require extensive training and knowledge for all the employees involved in the action plan. The employees should not be treating such sensitive cases based on their personal judgment which may lead to failure of the entire intervention action plan. Another point of concern in the proposed bills is the mandate given to the police to detect signs of radicalization. A question that will arise include, what defines the physical signs of an individual’s radicalization, is it his or her appearance or dress? How do you detect on the street that an individual carries signs of extremism? A major fear is falling into religious profiling. Our societies already suffer from racial profiling; certainly, no one would like to add another hardship to our Quebec communities by poor implementation of such a security mandate. 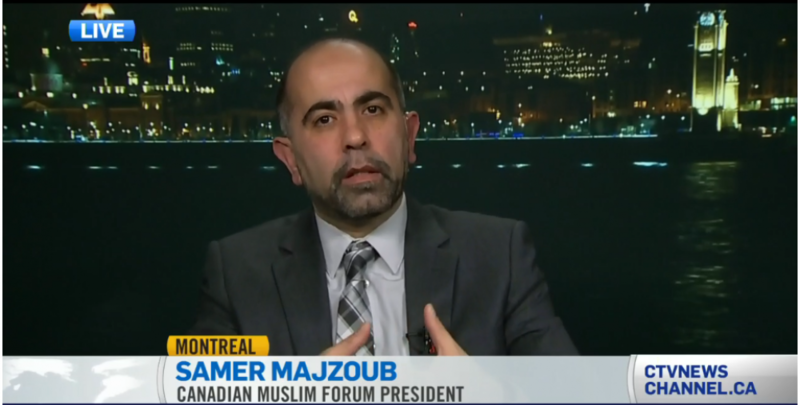 Hate speech has plagued many aspects of Quebec society for long periods of time. This toxic phenomenon has witnessed a surge recently. One of its worst times came within the period of the previous Parti Quebecois government with the proposed Quebec secular charter. Quebec society witnessed a very dangerous trend of continues smear campaigns against cultural, ethnic and religious groups. Moreover, concerns of extreme speech that may incite violence came as an additional reason for the need to have clear anti-hate speech laws. Such a measure would fight all sorts of discriminatory discourse, such as Islamophobia, anti-Semitism and racial talk. It’s hoped that such an act, if it’s fairly implemented, will heal division, reunite and create harmony within Quebec’s social fabric. 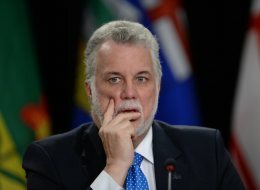 The Quebec Liberal party has been blamed by some for not addressing what has been known as neutrality of the state or the secular charter. Whatever name is given, the concept came down to the prohibition of women from receiving or offering public services while their faces are covered. Depriving Quebec women from public services such as health and education because of their face cover is considered very discriminatory against women’s basic right of being treated as human beings and not discriminated against because of their choice of dress code. Such a provision is a blow to Quebec’s claim to be a pioneer on women’s rights. Although there are no official statistics, the number of the face covered Quebec women, many of whom are French Quebecer converts, does not exceed a handful. Does this very small number of women, none of whom work in public service, deserve to be put in the spotlight? Is it worth to have the government tabling special laws against their choice of dress code? 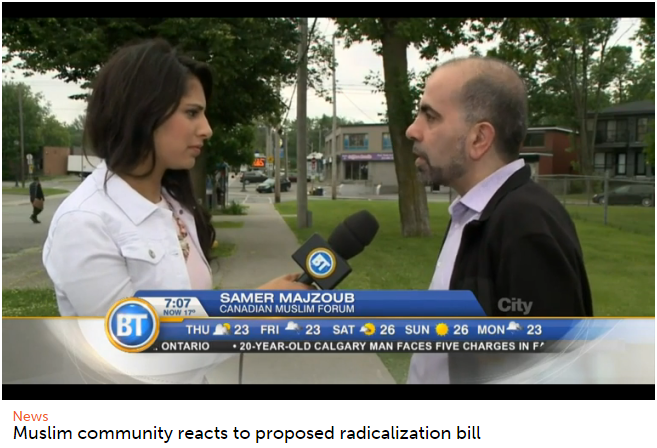 Furthermore, the fact that the Provincial government tabled both Bills 59 and 62 at the same time, although, with totally different subjects and topics, has given the impression that the move is targeting one Quebec community — Muslims in particular. 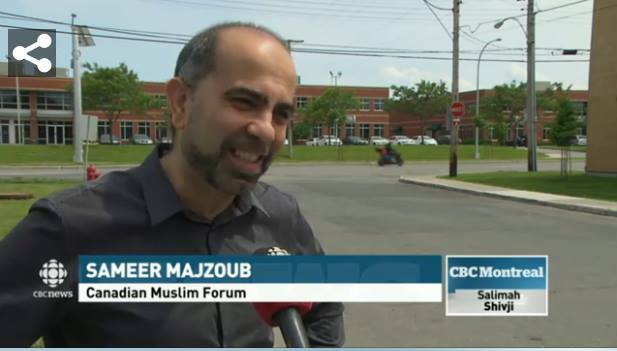 Although officials try to deny that they are targeting any group or religion, the way both bills are presented, debated and covered in the media leaves no doubt in the minds and hearts of many Muslim Quebecers that here they are, again, being used as a political football within the province’s political arena. No one argues for the great need to have bills, laws and social action plans to address important issues of Quebec society such as hate speech, discrimination, extremism, and neutrality of the state. However, it’s not fair to target one group or the other. Although the Muslim community at large doesn’t believe that the provincial government meant to target their population in the province, the government should be working very hard to avoid giving the perception that those bills are targeting Quebec Muslims. 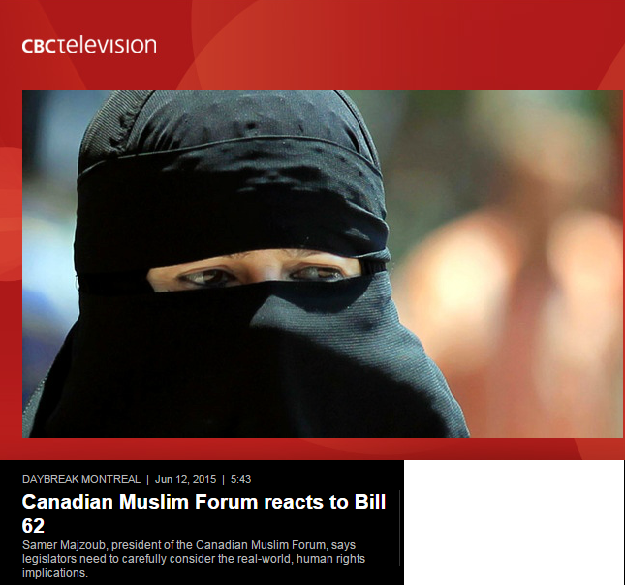 (FMC-CMF) Canadian Muslim Forum commenting on the neutrality, anti-radicalization anit-hate speech, bill 62 and bill 59.